The way these numbers are distributed resembles a pattern scientists have observed in atom distribution in crystals. 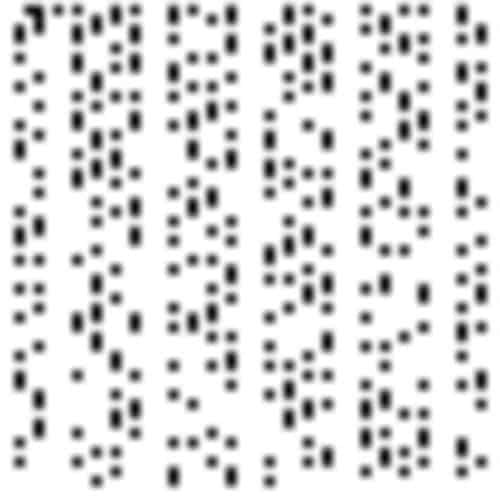 Prime numbers, plotted as dots — the so-called sieve of Eratosthenes. Prime numbers are weird, and they’ve fascinated researchers since ancient times. They’re integers that can only be divided by 1 and themselves, which means that in a way, they are the building blocks of mathematics — since they can be used to divide all other numbers. But their distribution seems really random. Buckle up, we’re in for a strange ride. Just think about it: the first prime number is 2, and it’s the only even number since it divides all other even numbers. The next prime numbers are 3, 5, and 7, which seem to make a pattern, but that’s only a deceptive appearance. The next ones are 11, 13, and 17. After that, you have 19, 23, and 29, and it gets weirder and weirder the more you go towards bigger numbers. By all accounts, they’re simply random. This is not without use, especially as much of modern cryptography employs prime numbers to generate randomness — something which is particularly problematic for computers and algorithms. As Motherboard’s Liv Boree points out, the widely used RSA encryption algorithm relies on the fact that any number can be obtained by multiplying prime numbers, but it’s extremely difficult to take a very large number and figure out which primes were multiplied together to make that large number. In number theory, every integer greater than 1 either is a prime number itself or can be represented as the product of prime numbers — and this representation is unique. Sounds complicated? Well, we did say it’s a strange ride, but we’ll get there. To make matters even stranger, some of the most intriguing unsolved mathematical problems involve prime numbers. For instance, the famous Goldbach Conjecture states that every even integer bigger than 2 is the sum of two prime numbers. This has been tested up to 400,000,000,000,000, but remains essentially unproven, being one of the oldest unsolved problems in number theory and in all of mathematics. The electron diffraction pattern of an inorganic crystal, a tantalum oxide. Before we can get back to the prime numbers, we need to make a small detour. Chemists, physicists, and geologists sometimes study crystals in great detail, firing X-rays at them and observing the different resulting patterns. These patterns are a result of the crystal’s atomic lattice, or how symmetrically the atoms are arranged. While crystals have an ordered and repetitive atomic structure which results in an orderly pattern, a liquid, whose atoms are moving all over the place, will produce jumbled results and fail to produce a pattern. Something similar, but not quite identical, happens to rare materials called quasicrystals — materials which have an ordered, but not periodic structure. Quasicrystals resemble solids in that they form a pattern of periodic bright spots known as “Bragg peaks” as the rays constructively interfere with each other over fixed intervals, but they also resemble liquids in that the pattern isn’t repeatable. Realizing this, theoretical chemist and Princeton professor Salvatore Torquato had a hunch: what if prime numbers and these quasicrystal patterns had something in common? It seemed like a long shot, but together with his student Ge Zhang and number theorist Matthew de-Courcy-Ireland, Torquato computationally represented the primes as a string of atoms and light that scatters off of them. 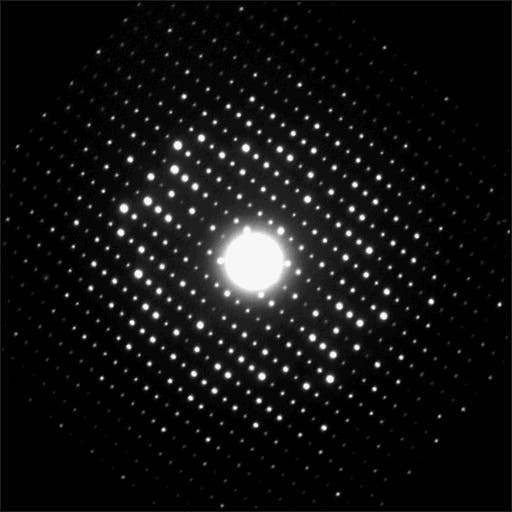 The results, published in three papers (1, 2, 3) show that this was indeed the case: quasicrystals produce scatter patterns that resemble the distribution of prime numbers. This is “unlike anything we’ve seen before” and implies that prime numbers “are a completely new category of structures” when considered as a physical system, Torquato told Quanta Magazine. The team reports that this also creates a never-before-seen fractal pattern, which only appears when the number line is sufficiently long — over shorter stretches, the pattern fails to emerge. While the findings aren’t such a big deal for number theory (as most of the mathematics has already been described in a number of forms), it offers a unique physical perspective into a mathematical phenomenon — and a tantalizing one at that. The intersection of abstract math and concrete physics is always exciting and has ramifications that aren’t always clear. For now, this could be useful in the study of non-repeating patterns and scattering theory. Perhaps lastly, this is just a beautiful depiction of mathematics. “What’s beautiful about this is it gives us a crystallographer’s view of what the primes look like,” said Henry Cohn, a mathematician at Microsoft Research New England and the Massachusetts Institute of Technology. We don’t often think of math as beautiful, but with its elegance, complexity, and grandeur, perhaps it is just that: beautiful.